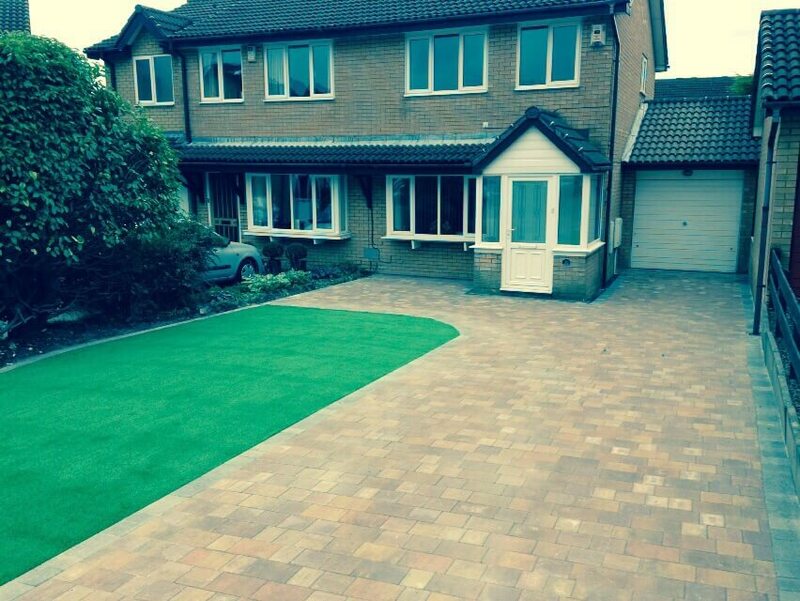 A recent project using Marshalls Firestone Fired York for a customer in Gateshead, Newcastle. 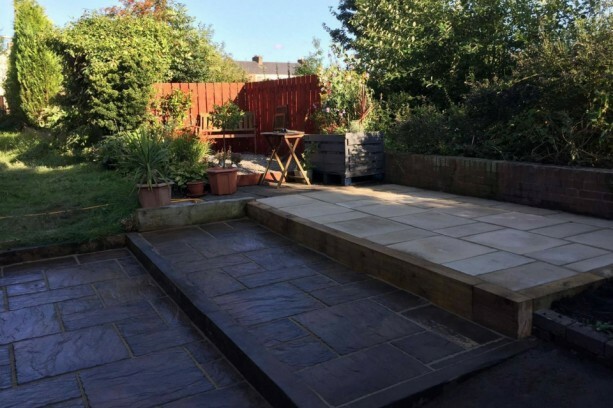 At the Driveway Company, we offer a wide range of products for garden paving, slabs & patios in the North East. For your peace of mind, all our installations are by our own team of Marshalls registered installers. What is a Marshalls Registered Installer? When choosing a Marshall’s registered installer you can be assured that you are getting the right advice, along with experience and quality workmanship for your project. 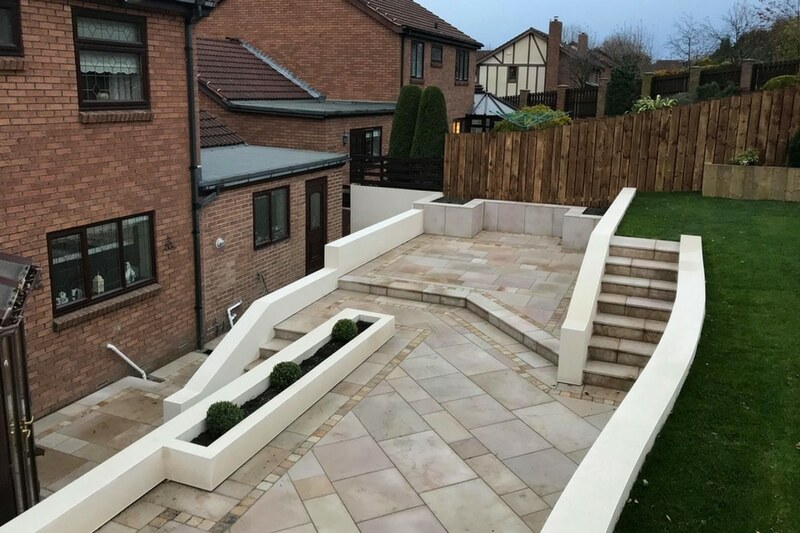 Members of the Marshalls register have to abide by the Marshalls installation guidelines, furthermore, all installers are all vetted by the Marshalls assessors. You can also enjoy peace of mind, that comes along with the guarantee of a quality end product finished to the highest standards. 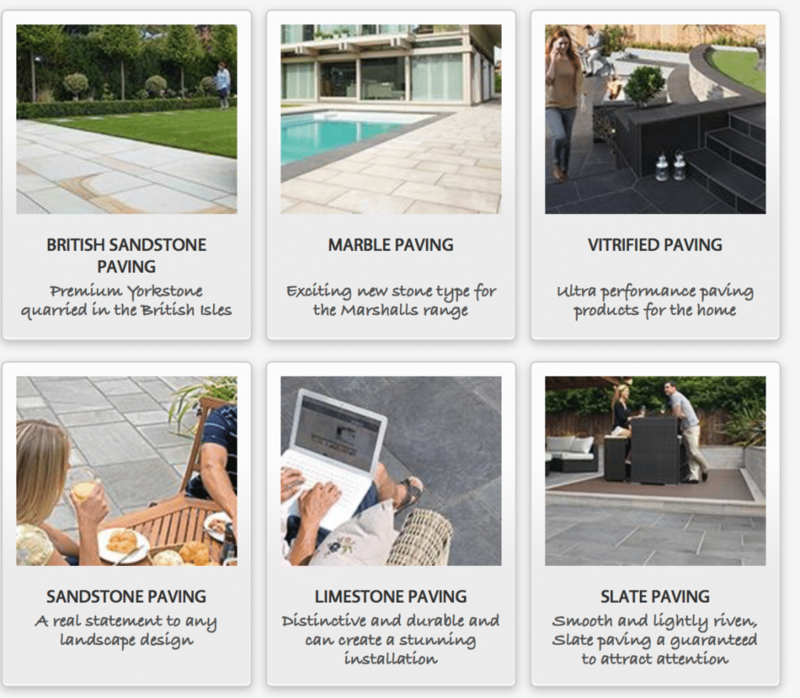 Below is a selection of some of the Marshalls range of garden paving, slabs and paving for patios. 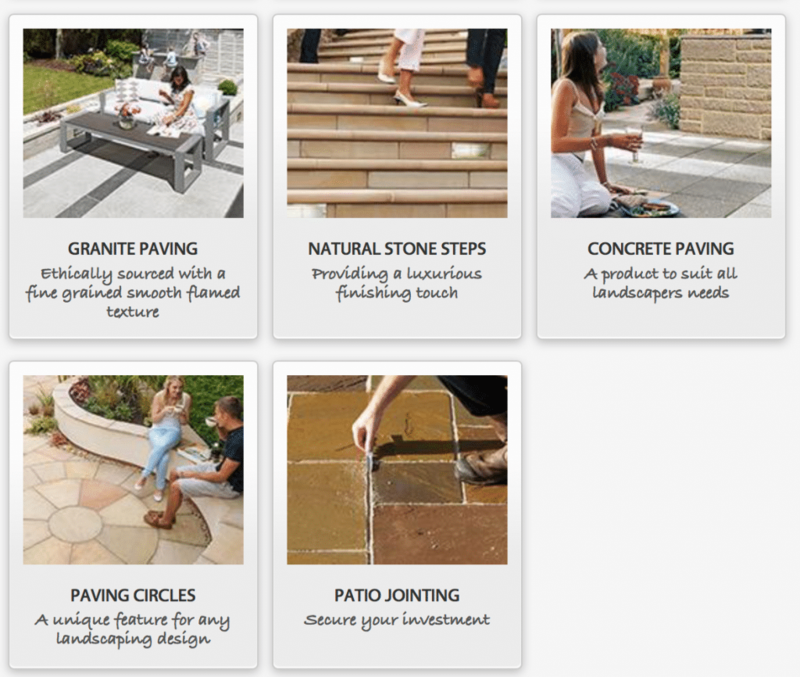 They offer a huge range of garden paving products from link text concrete paving stones to beautiful natural stone paving. With such a wide choice, you can be sure to find something to suit your own individual taste. 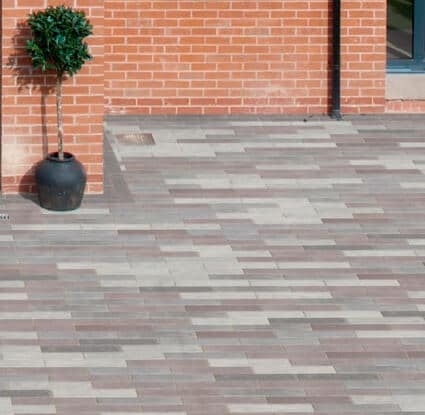 No matter whether you are looking for traditional, elegant or cutting-edge contemporary, there is a choice of paving to suit. Marshalls specialise in high-quality paving stones in Sandstone, Granite, Limestone, Slate, and Concrete. 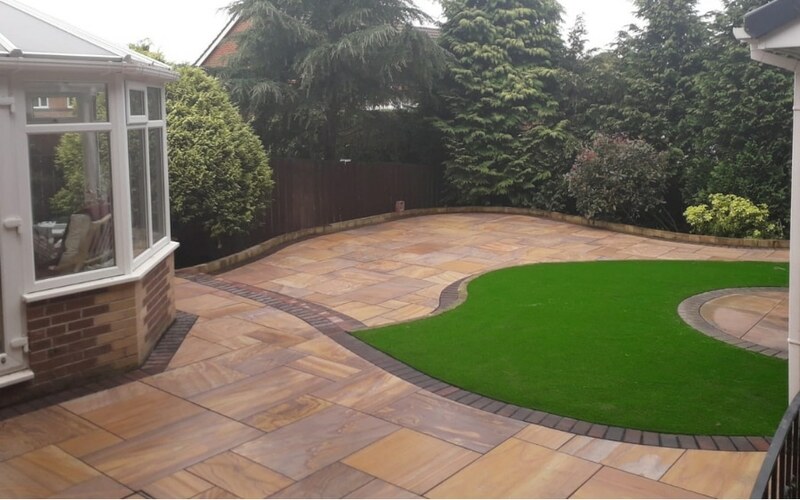 We work with you to match your garden to the most suitable paving or style of stone. When choosing your paving for your garden its worth considering the thickness, colour and surface finishes. Call our team for a free quotation for your project 0800 160 1618 alternatively visit our dedicated page. Join our Facebook page to keep informed of all our latest news and offers.